Other Notre Dame collaborators on the study included Rob Stahelin at Indiana University School of Medicine-South Bend, Olaf Wiest in the Department of Chemistry and Biochemistry, the Computer Assisted Molecular Design Core, Shahir Rizk in the Department of Biological Sciences, and the Genomics and Bioinformatics Core. 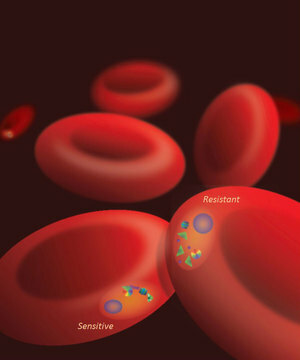 The study, “A molecular mechanism of artemisinin resistance in Plasmodium falciparum malaria,” was published online in Nature on Wednesday (April 15). This work was supported by the National Institutes of Health, the Parsons-Quinn Endowment and Notre Dame International.